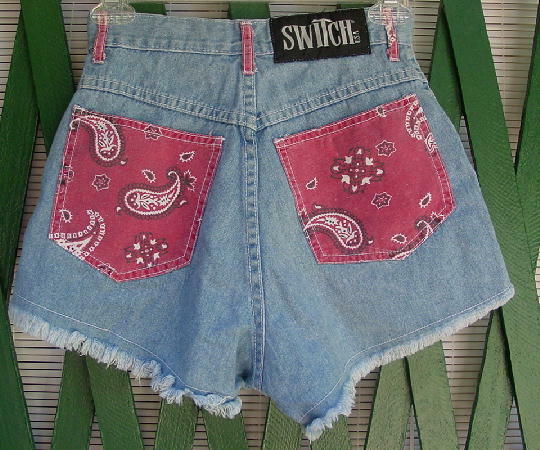 These 100% cotton shorts are by Switch USA and were originally purchased in the early 1990s. The 3 pockets and 6 3/4" long zipper are within the red and white paisley front fabric panels. 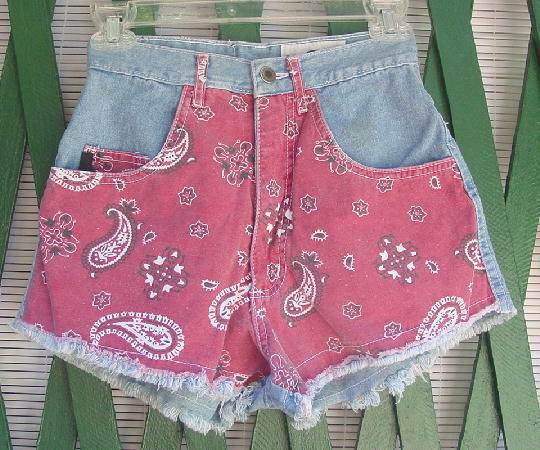 The back pockets and the belt loops are also in the red and white paisley design fabric. The bottom leg openings are edged in thread fringe. The back waistband has a large black tab with a white Switch USA on it. They have a one logo button front closure on the 1 1/2" wide waistband closure. top of waist to bottom side leg opening 11"